Now here’s a fun game! Alphabet tic-tac-toe! This orange frame, along with the other colors in this set, can make it a tad more fun. Try them all out. I’m sure you’ll like them! 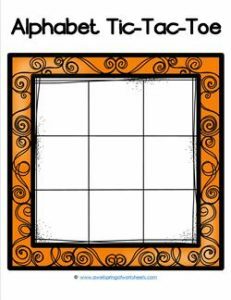 Go to this page to see all our alphabet tic-tac-toe resources.